Privacy awaits! Stunning Randall model with upscale finishes at every turn situated next to a large conservancy on almost 1 acre .94 in sought after Lenah Run. Full stone front with covered porch featuring slate flooring. A graceful oak curved staircase is featured in the grand foyer. Gorgeous Brazilian Cherry hardwood floors adorn most of the main level, and upper hallway as well as extensive trim details. An in-house music system with speakers are found through most of the rooms in the home. A stone two-story fireplace is the centerpiece of the family room along with a wall of windows that show off the spectacularly manicured rear grounds with a large maintenance free deck, retractable awning, stamped concrete patio, large fire-pit, pergola, hot tub, and lush landscaping. The chefs kitchen is the heart of this home and features high-end stainless steel appliances, Viking Professional 8-burner stove, commercial hood, warming area, double convection ovens, built-in refrigerator, river rock granite counter tops, tile backsplash, upscale maple cabinetry, built-in planning desk, butlers pantry, expansive island with seating and a generous casual dining area. The spacious living and dining rooms are located towards the front of the home and offer a great flow for entertaining. The home office is located off the rear hallway and offers French doors for quiet study. 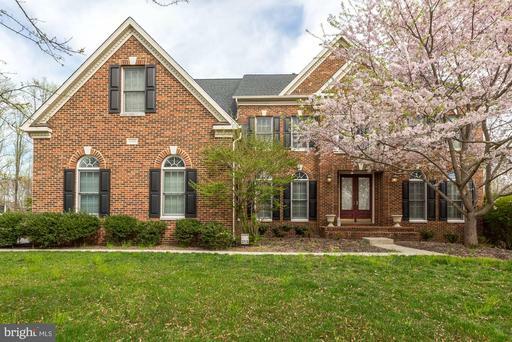 The upper level of this home showcases a master retreat with expansive sitting area, fully renovated master bath that you will never want to leave, and amazing closet space. The secondary bedrooms are also spacious, one hosts an en-suite bath and the other two share a fully renovated buddy bath. A nicely sized laundry room with built-in cabinets finishes off this level of the home. The lower level is meant for entertaining, wide open recreation room with an expansive bar featuring Keg Fridge, bar tap with Tower air cooler Holds ~ Keg, Wine cooler, dishwasher, cabinetry and natural stone counters. A large pre-wired theatre room is also behind French doors and is currently used as an exercise room, a nicely featured full bath also resides on this level, along with ample storage room, and walk up to the rear grounds. Recent updates to this home: New roof, tankless water heater, Furnace, HVAC, Divine 6 person hot tub w/speakers Bluetooth, GE Smart water softener, GE whole house water filter and more. Offers due by Wedneday 5pm. Stunning Randall model with over 4100 finished square feet on the top two levels, sited on almost .60 acres backing to Nature Conservatory and siding to trees. Beautiful hardwood flooring and plush carpeting adorn the main level with upscale ceramic tile in the gourmet kitchen and breakfast area. The kitchen features maple cabinetry in a rich cherry stain, expansive island for food prep and plenty of counter seating, upgraded granite countertops, stainless steel appliances, huge breakfast area with a wall of windows to take in the rear grounds. A two-story stone-faced gas burning fireplace adorns the family room and has a single French door access to the expansive Trex deck with dual staircase off the rear of the home. The rear yard is also fenced for added privacy. Beautiful trim details are found throughout the home and elegantly featured in the formal living and dining rooms off the grand two-story foyer. In wall-ceiling surround sound speakers throughout the home for added enjoyment. A convenient home office is off the back hallway and features French doors for quiet study. The upper level of this beauty features a true master suite with sitting room, dressing area with vanity, exceptional closet space with two walk-ins and a linen closet, as well as a master bath with Jacuzzi tub, separate shower, separate vanities and water closet. There are three additional bedrooms on this level, one featuring a full bath, and the other two sharing a buddy bath. The laundry room is also located on this level of the home for added convenience. The lower level of this gracious home is unfinished and ready for your future plans, it features a walk out onto the backyard, full bath rough-in, and plenty of storage.Read lessWhat I love about this homeThis beautiful home has been lovingly maintained by its owners and the pride in ownership shows throughout. Lenah Run is a unique community of homes in harmony with nature, close enough to local shopping, restaurants, schools and commuter routes, but far enough to enjoy the tranquil surroundings. Lenah Run- You will love living here! 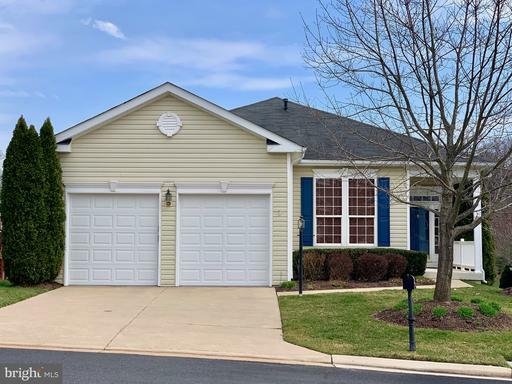 Accepting Back up offers, contact listing agent.Stunning and meticulously maintained Belmont model with sunroom extension, gourmet kitchen with expansive island, upscale maple cabinetry with granite counter tops, stainless steel appliances and handy planning desk. The kitchen is open to the family room that boasts a two-story stone fireplace and wall of windows looking onto the gorgeous rear yard that backs to the Lenah Run Conservancy. A composite deck is featured for your outdoor entertaining, a perfect area for grilling, dining, and lounging. The main level showcases hardwood flooring throughout with the exception of the family room that features luxury plush carpeting. The living and dining rooms are open to each other and are flanked by a beautiful pair of columns and showcase gorgeous trim details. The home office is located towards the front of the home and features French Doors for quiet study. This home showcases a curved oak main staircase in the front and a convenient staircase in the rear that leads to the kitchen. The second level features a Master suite with tray ceiling, sitting area, two large walk-in closets and a five-piece spa-like master bath with upgraded tile and cabinetry. The other three bedrooms are also spacious, one has its own en-suite full bath and the other two share a buddy bath. The laundry room is located on the main level and features a utility sink and upper shelf for storage. The lower level of this home is unfinished, ready for your customization and has a three-piece rough in for a future full bath with a walk up to the rear grounds .Lenah Run is a sought after community nestled among a Natural Conservancy area that runs throughout the Neighborhood. It hosts an active Home Owners Association that features several activities for all ages year round. You will love living here! Fabulous updates to this picture perfect home! 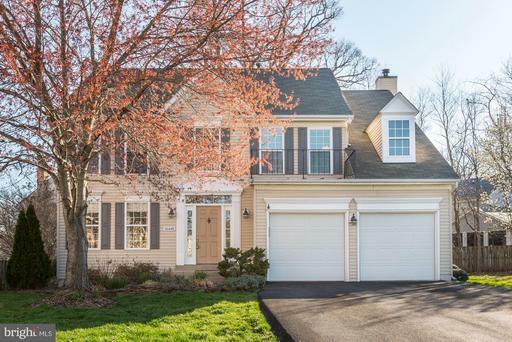 Fresh paint throughout, renovated master bathroom with amazing heated floors, upgraded Brazilian Cherry floors through much of the main level, staircase, and upper-level landing, as well as upgraded Cherry banister with wrought iron balusters. New roof, replaced Furnace/HVAC, Hot Water heater, renovated powder room and NEW driveway! The kitchen features upgraded tile flooring, newer stainless steel appliances, granite countertops, island with seating and a spacious breakfast area. The laundry room is located just off the kitchen for added convenience. The family room is open to the kitchen and showcases a marble surround fireplace with mantle and generous seating area. A fantastic huge screened in porch is located off the family room and has plenty of room for grilling, dining, and lounging, nestled among mature trees, it is a tranquil retreat. The living and dining rooms are open to each other for ease in entertaining. The upper level hosts a beautiful master suite with Brazilian Cherry hardwoods, two spacious closets and amazing spa bath you will never want to leave! The three additional bedrooms on this level are also spacious and share a hall bath with dual vanities. The lower level of this gracious home features a large recreation room, gym area, home office/den, toy/game closet, generous storage area and rough in for a full bath. Over 3200 total square foot finished. This home has been meticulously maintained and ready for its new owners! Back up offers allowed, contact listing agent. 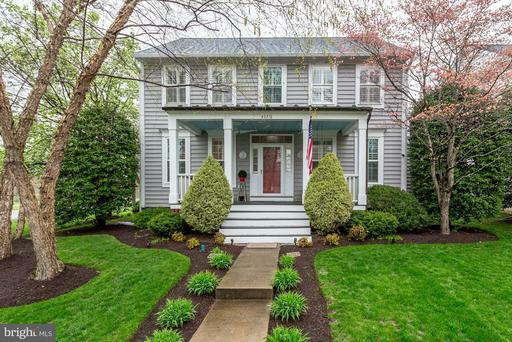 Beautifully maintained and upgraded colonial in South Riding featuring a welcoming covered front porch. Fresh neutral paint in several areas, refaced maple kitchen cabinets, new roof, plantation shutters, extensive trim and wainscotting throughout with built-ins in the home office. The family room is custom built with a true masonry fireplace and hearth and features custom built ins as well and sunset views each night. Hardwood floors are featured throughout most of the main level, with a neutral Berber in the living room which also features a gas burning fireplace with custom inlays that can be easily changed out for the future buyers color choices. The master bedroom and bath showcase vaulted ceilings, two walk in closets, dual vanities, separate soaking tub and shower. There are three additional bedrooms on the upper level that share a hall bath. The lower level features a large recreation room, with a den/playroom, full bath, unfinished storage room and laundry. The backyard is a little hidden gem, with trellis covered pergola deck and party lights, the perfect escape for a quiet read with a cup of coffee or glass of wine. A paver patio is spacious enough for dining and grilling, The rear lawn is perfectly manicured and showcases gorgeous trees and perennials. The two car garage, and large driveway can accommodate several cars for extra parking or a private enclave for kids at play. A small shed is also present for your additional storage needs. 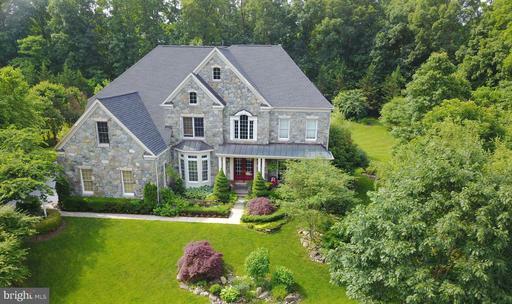 South Riding is a popular community with loads of amenities, pools, trails, tennis and more! 55 and older community.Beautiful Captiva model, 2 bedrooms, 2 full baths with den/office, hardwood floors on the entire main level. Gourmet kitchen with double ovens, cooktop, Corian countertops, sunny breakfast nook with bay window, dual sided fireplace with Full stone front on the living room side and marble surround with mantle on the dining room side. Bright and light, neutral decor, spacious master bedroom, two walk-in closets, spa-like master bath featuring a soaking tub, separate shower, dual vanities. One additional bedroom with a hall bath, laundry room with utility sink, and a spacious den/office located on the opposite wing from the Master bedroom. An unfinished basement is available for your storage needs or you can customize for future recreation space. A spacious 2 car garage is located just off the main hall for easy access. A newly power washed wood deck is just off the kitchen/dining area, and is great for grilling, dining, and lounging, with steps to the rear yard, with irrigation system.. This home has been lovingly maintained and ready for its new owners!